In the left navigation bar, select the “Resource groups” menu item. Select the resource group containing your deployment. 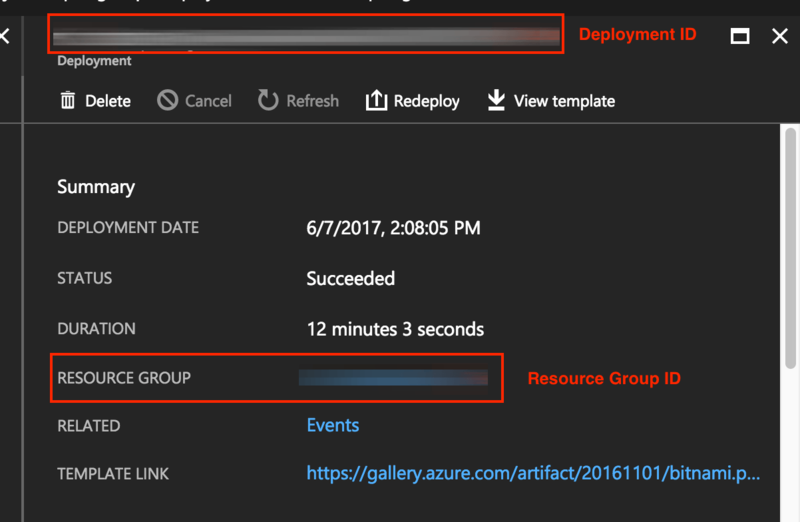 From the resource group’s “Settings -> Deployments” menu, select a deployment to view a summary of the deployment details, including its deployment ID and resource group ID.